Vintage is fashionable these days, but so is living a simpler, more intentional life. 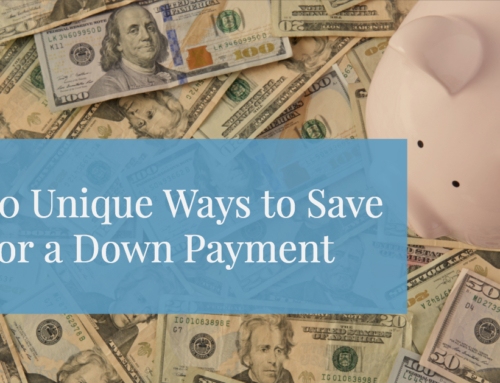 When you’re ready to purchase your first home, upsize, or scale down, you might find yourself prepared to make concessions here and there to stay within your budget. One of the first things many homebuyers assume is that fixer-uppers are a great way to save. It’s possible! 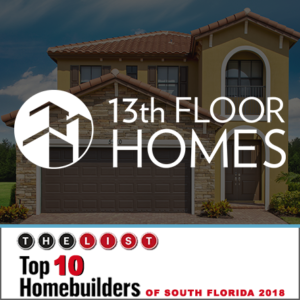 South Florida has a lot of great older homes just ready for the right buyer to come in and undertake a complete remodel. But are you that buyer? Before you get ambitious about that charming bungalow or stately Georgian house, you’ll need to sit down and really consider whether or not you should commit yourself to an older property, whether or not it’s recently been updated. As we’ve mentioned, the “flow” through your new home is a big deal. And by “flow”, we don’t mean storm surges…which, of course, may have been a part of an older home’s history. We’re talking about the way the interior space is optimized for the way contemporary homeowners live, the use of natural lighting, and how the home’s layout performs with natural and artificial climate control methods. When your home is built from the ground up with current code compliance designed into its entire structure, you’ve got the peace of mind of knowing your investment and your family are protected against hurricane-force winds. Foundations, framing, trusses, and roofing all have undergone changes that vastly improve their resilience, even above structures built just ten or fifteen years ago. Sellers aren’t likely to agree to update these crucial problem areas, and might even be selling because they, too, want better security against the forces of nature. Even the most diligent home inspector can’t ferret out every health and structural hazard in an older home. Mold, dry rot, termites, and rodents damage areas inaccessible to inspection tools and sharp eyes, especially in between studs and enclosed beams and joists. How many generations of Do-It-Yourselfers or sub-par contractors have worked on the house on which you’re drafting an offer? Has structural wear-and-tear accumulated to a point that cancels out its cute factor? 4 Wiring, Plumbing, and HVAC: Upgrades Aren’t Always So Simple. Old wiring isn’t just energy-inefficient; it’s dangerous. Rewiring a “vintage” home is more than just a huge expense; it’s a massive disruption to your life. While many older homes use evaporative coolers, those with ductwork might need a complete redesign, or replacement with modern systems, many of which are poorly-suited to outdated construction methods and home layouts. And how efficient is that cooling system, anyway? If your home’s plumbing is in poor condition, leaks and condensation can lead to mold and fungus that damage your home and your health. In Florida’s warm, humid climate, the odds don’t favor older homes. 5 Connection to Utilities: Don’t Step In a Financial Quagmire! Don’t forget to check whether your prospective home’s connection to public sewer and water infrastructure is in good shape. Many municipalities require homeowners to foot the bill for mandatory, scheduled connection upgrades, and when these pipes fail, you’ve got more than just a mess on your hands. Is the home on a septic or lagoon system? That’s a whole other can of worms, as these require regular maintenance. With older installations, costly repairs or replacements are sure to be on the horizon. 6 More Power to You: Is The Home Tech Savvy? We’re not talking about “smart” controllers, although these are great components for saving energy and money on utility bills. We’re talking about wiring schemes, lighting fixtures, extra power outlets, and updated power switches. All the things that go beyond new wiring, code-compliant breaker boxes, and grid connections in order to make your life more convenient and your home more user-friendly. Is your prospective home’s cable connection still down near the floor, or is it wired so that you can wall-mount your flat-screen TV? Will you have outdoor power to enhance your enjoyment of your backyard living spaces? Are there appropriate connections for wireless routers so you can have whole-house connectivity? 7 Is Your Dream Home a Green Home? You might think that it’s more environmentally-friendly to “repurpose” an older home than it is to invest in new construction, but if the home isn’t designed to make the most of natural ventilation, or if it isn’t built with insulation, vapor barriers, doors, and windows designed to optimize your interior climate control system, you’re burning energy and cash. If it’s got a long history of pest infestations, you’ll be living with generations of chemical residue and harmful bacteria. Contemporary building methods involve less material waste, and modern homes are built to last. On top of everything, it’s tough to beat a home that’s engineered to mesh with the latest breakthroughs in green technology and design. 8 Will You Save on Insurance Premiums? Older homes equal higher risk in the minds of insurance agencies, which often take into account the land value and the cost to replace (at current construction costs) damaged structures when they tailor policies for homeowners. 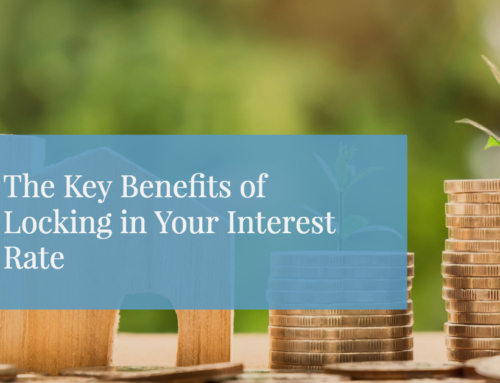 New wiring, fire-resistant materials, structurally superior designs, and all the little details incorporated into new construction built to current codes will save you money and make your home eligible for broader coverage. Sellers are legally required to disclose known issues with their listed properties, including recent flooding, dry rot, pest infestations, and the presence of asbestos or lead. “Known issues” is a gray area, and can be difficult to prove if the seller is holding back. Of course, they might not realize that the loose insulation in their attic space is filled with asbestos, or that there’s lead paint four layers underneath that coat of eggshell taupe they rolled onto the exterior before putting the home on the market. You’ll always want to hire a licensed inspector whenever you invest in a new-to-you home, but even the best inspectors miss potential issues with older homes that can cause you thousands of dollars and a lot of headaches down the road. When you purchase a new home, it will have undergone inspections in multiple phases of its construction. You’ll know your home’s history. You can usually get a two-year warranty covering your home’s appliances and infrastructure when you’re purchasing an older home, but some developers, like 13th Floor Homes in South Florida, offer builder and structural warranties knowing that the quality of their design, construction, and appliance installation means their own risks are low. With an older home? It’s “buyer beware”. If you’re an old hand at remodeling vintage homes, you’re aware that home upgrades are an expensive undertaking, whether or not you hire professionals to do the job. 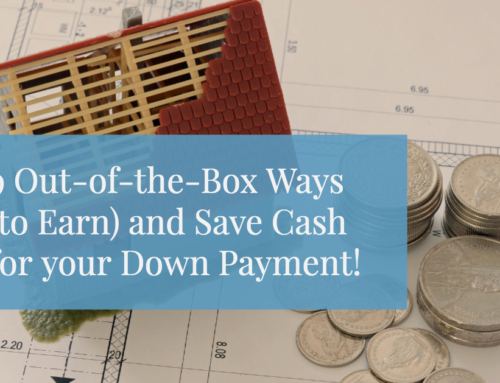 Even if you build into your mortgage the cost of future remodels, you end up putting things off due to real life and other expenses getting in the way. 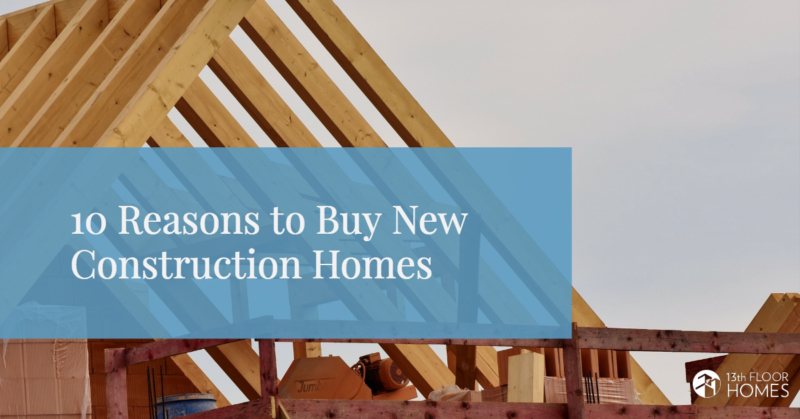 And if you or your renovation contractors don’t have the same reputation and construction savvy as South Florida’s leading developers, your after-market expenditures won’t bring you the best returns. South Florida is a wonderful place to live, and you want your home to be a “get it and forget it” investment so you can enjoy your lifestyle. Put that sweat equity into future projects, such as home decor, furniture, landscaping upgrades, or a new barbecue pit. How much is your time and peace of mind worth to you?